Here it is, for those of you who live in the wrong country .. or those who missed out on the December 2011 issue of August Man magazine. 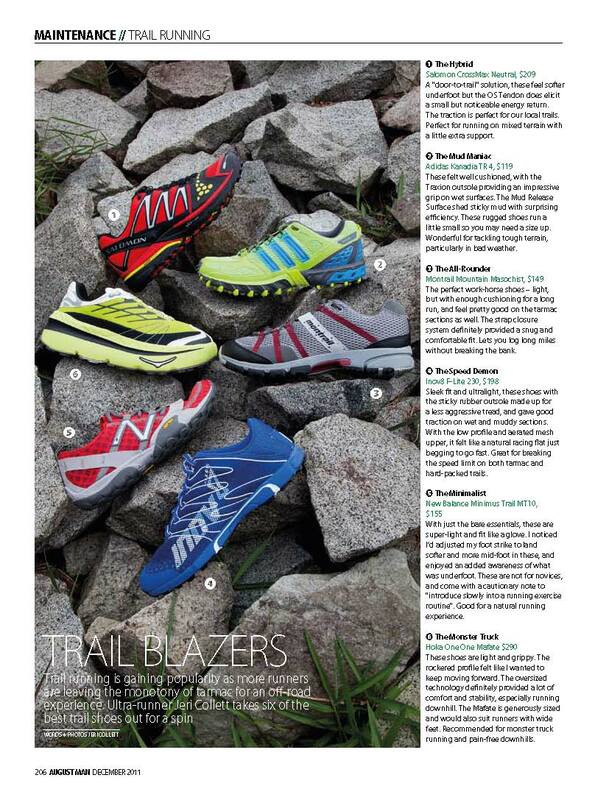 The article I wrote has been shortened from the original version, and the trail shoe reviews were brief due to space constraints, but we’re looking to put up more in-depth reviews on AugustMan.com and my shoe reviews for Hoka One One (Bondi B and Mafate) and Inov8 (Road-X 233 and F-Lite 230) are still to come. Hope this helps with 2012 New Year resolutions to get out on the trails!